Chinese journalist Gao Yu was granted medical parole on Thursday shortly after her sentence for leaking state secrets was reduced from seven to five years on appeal. 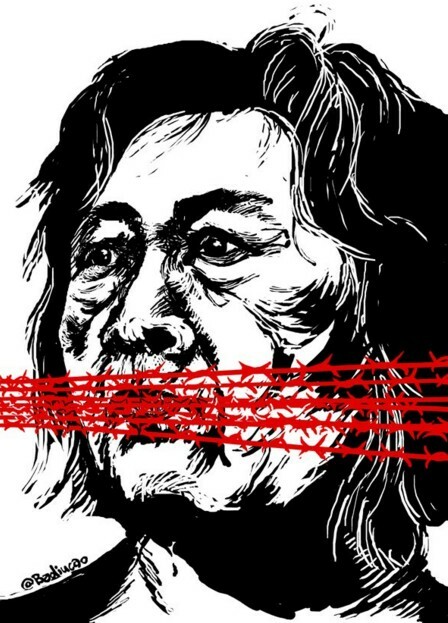 A drawing of Gao Yu by political cartoonist Badiucao. 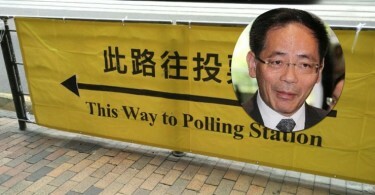 At her initial trial, Gao pleaded not guilty to leaking a “classified” party document to overseas website mingjing.com. The document, a party directive which warned against Western democratic values including civil rights and press freedom, is still available online. “Allowing Gao to serve a reduced sentence outside prison, though a relief for her, does not take away the glaring fact that her prosecution was a politicised use of the law to punish speech,” said Sharon Hom, Executive Director of Human Rights in China. “Gao Yu’s case also highlights serious systemic concerns raised, such as the independence of the judiciary and access to justice during the rigorous scrutiny of China by the UN Committee Against Torture earlier this month,” Hom added. Gao, an internationally respected veteran journalist, is known for her criticism of the party. She has been jailed twice before, once in 1989 for her reporting on, and involvement in, the pro-democracy student protests, and again in 1994 for leaking state secrets.